Infused with a sense of chic and rock and roll attitude, Roberto Cavalli Uomo unveiled a new facet of the Roberto Cavalli man. Discover UOMO Silver Essence, the new fragrance for men. 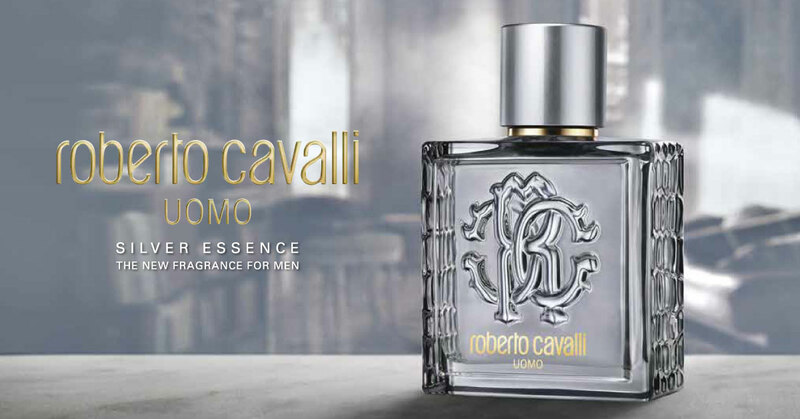 Roberto Cavalli Uomo Silver Essence is a modern and luminous take on the Roberto Cavalli Uomo universe. This woody oriental fragrance was designed by master perfumer Christophe Raynaud. For this limited edition, the creator of the original Roberto Cavalli Uomo conceived a vibrant and addictive scent that seamlessly blends timeless Italian elegance and irreverence.